WOW, what a month it has been in the world of fashion with the leading designers and top-class models strutting their stuff along the catwalks of New York, Vancouver, London and Paris. I am proud to say our MilliOnAir Global Magazine fashionistas have been there every step of the way to bring you the very latest amazing collections including the magical award-winning designer John Herrera who returned to Fashion Scout to present his ready-to-wear spring/summer 2018 Collection Armada. Our exclusive cover interview takes us into the inspiring world of our new best friend VANESSA BRADY, a brilliant international multi-award winning Interior Designer, Business Consultant and Founder of the Society of British and International Design. You’ll find her great story from Page 72. Editor-at-large Laurie Stone got to chat with California-based LESLEY EVERETT, one of the world’s leading Branding experts who is on her way to London to spread powerful message. But that’s not all…..with Milli-On-Air Global Magazine, there is so much to enjoy whether you are taking time out to relax and read or watching one our of interactive videos. AOFM Pro is one of the worlds leading backstage makeup team providers with branches in London, New York, Paris, Belfast and recently, online. Supplying backstage makeup for over 100 designers annually, AOFM Pro has worked with some of the world’s most renowned designers and iconic catwalk shows including Belstaff, DAKS, Moncler, Vivetta, Barbour, House of Holland, Iceberg, David Koma, Viktor & Rolf, Max Mara, Dior, Pucci, Roland Mouret, Ermanna Scervino, Christopher Raeburn, Haizhen Wang, Paul Costelloe, John Smedley, Blood Brother, Dondup, KTZ, Bora Aksu… In partnership with top makeup artists represented by leading agencies from around the globe, AOFM Pro provides designers with unparalleled creative and conceptual ideas, which has made AOFM the first stop for any designer looking for backstage makeup artistry. Managing Director of successful film finance and distribution agency Goldfinch Entertainment Kirsty Bell, who is personally accredited with raising over 200 million pounds for the industry, gives her view on the growing number of articles causing panic and confusion within the EIS and Entertainment industries. Kirsty, who founded Goldfinch Entertainment, is both a successful film producer and Chartered Tax Advisor. Bell’s combined expertise has enabled her to focus on the structuring of film companies and their finances and gives her view on the contentious topic. Grace of London Exclusive coming soon! Recently I have been focusing on the dynamics between brands and agencies looking at the relationship and the ownership of content distribution and customer engagement on social media platforms. The questions of “Where do the best skills lie?” and “Who is best placed to manage this?” has been rolling across UK industry for some time now. For many of the C Suite CMO’s, Marketing Directors or Procurement Directors at brands, the badge of working with the most reputable or fashionable agencies has caused ripples with those working at lower levels who believe they can strategize, create and manage as well as any other outside agency can. We join TM Eye who undertake criminal investigations leading to private prosecution and convictions of those who sell illicit goods. TM Eye teams have the experience and benefit of highly effective former police detectives, Trading Standards Industry Investigators along with the support of Cyber Experts. 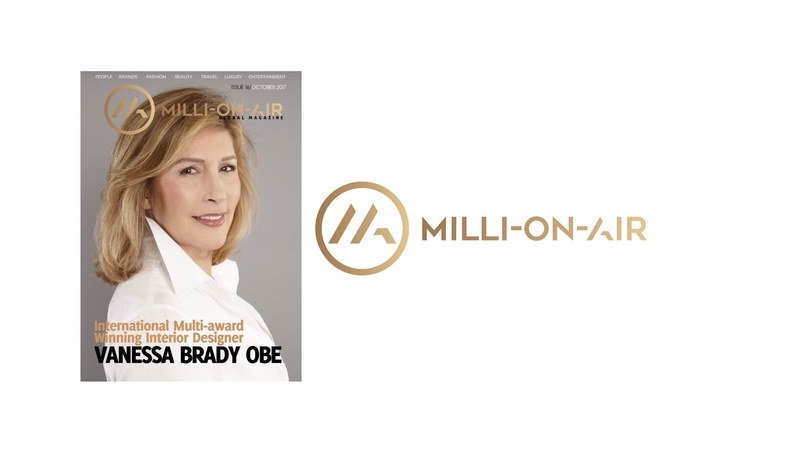 So there you have it…a sneak peak into MilliOnAir October edition, there’s so much more inside for you to see, hear and interactive with. I hope you get as much pleasure with this month’s issue as my team and I did pulling it all together.